A revolution in shot tracking. 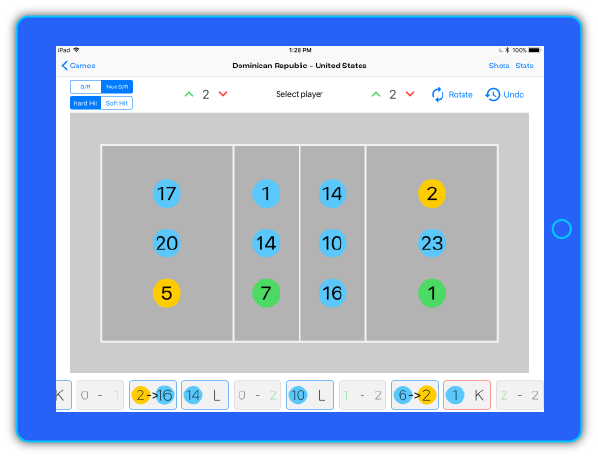 Shottey replaces traditional pen and paper shot tracking with an easy to use iPad app. Using Shottey, coaches have the power to track and explore more data than ever before through interactive visualizations. Quickly track shots with a simple and easy to use interface. Easily compare hits and filter by player, rotation, and set.